Kate O'Neill is a writer and speaker on meaningfulness across marketing, data/tech, business and life. 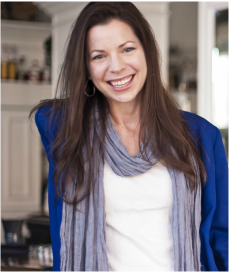 As founder/CEO of KO Insights, she serves as an advisor to startups and CMO's. 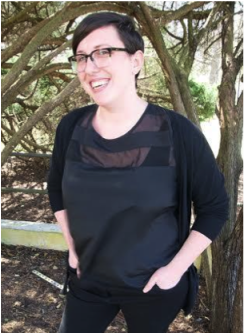 Kate’s experience includes creating the first content management role at Netflix, leading cutting-edge online optimization work at Magazines.com, developing Toshiba America’s first intranet, and building the first website at the University of Illinois at Chicago. 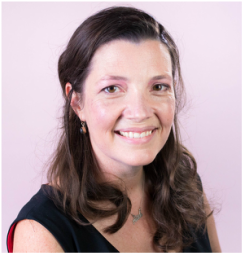 She blogs frequently for a variety of online outlets, writes a column on meaningfulness in business for The Tennessean, and is a contributor to publications such as CMO.com. Kate has been featured in CNN Money, TIME, Forbes, USA Today, and other national media. Vegan, cat lady. Happy. Lindsey Frost leads Mozilla's Hive Chattanooga Learning Community in Chattanooga, Tennessee. A graduate of Columbia University, Lindsey has spent the last several years exploring the intersection of technology and education through work with the UTC SimCenter, Engage 3D, the Public Education Foundation, and Toshiba America Foundation. She is a passionate advocate for technology as a tool to build community and for digital literacy education as a path towards educational equity. 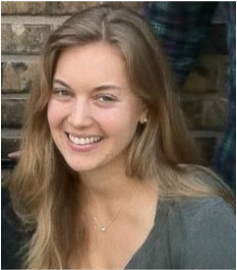 Anna Duning is a program manager at Engine, a public policy organization supporting entrepreneurship in technology. At Engine, Anna leads programming to connect startups to policy issues and policy-makers around the country. Prior to joining Engine, Anna worked on a legal team at Google focusing on intellectual property, online safety, and free speech issues across Google products. She led projects to scale operations for copyright matters as well as European privacy laws. Anna grew up in the DC area and graduated from the University of Virginia. She currently lives in San Francisco. Heather Baldry was raised in East Tennessee by supportive and eternally curious parents. She and her sister spent most of their time outdoors, inspecting the habits of salamanders and constructing fishing poles out of sticks and tree bark. When indoors, Heather mixed oscilloscopes and a Commodore 64 with Barbies and Lincoln Logs. Heather's classwork in Environmental Studies at the University of TN taught her the benefits of diversity in any environmental or social system. Having been at GitHub for the last four years, Heather has come to a clear understanding that coding is a new form of literacy, to be learned like any other language. Though coding skills can help in almost any career, coding as a profession in particular can help to elevate individuals and whole communities. Heather wants to help ensure that diversity is being built into the future of tech, by introducing young women to coding. Sara Kennedy is a former Columbia Museum of Art employee turned front end developer from the amazing city of Columbia, SC. Following an eight year career in non-profit administration, she became a student of The Iron Yard coding academy and graduated in 2014 from the Front End Engineering program. Sara currently works on the UX Team at Unum/Colonial Life and serves as the chapter chair of 100 Girls of Code Columbia. In her free time, besides reading about web development for fun, she enjoys spending time with her 3 big dogs, reading or watching anything by Tina Fey or Amy Poehler, and trying out new restaurants. Sara is excited to bring 100 GoC to Columbia, and to empower young women in her community to become makers of technology. Robin has spent the last 14 years of her career in the media industry where she’s led campaigns at some of the most watched brands in America including CNN, TBS, TNT, HGTV and GAC. While serving as Vice President of HGTV Audience Experience, she was cited as a national thought-leader in social media and best practices for companies using social feedback as a listening tool. Through her work on digital side of the business at Scripps Networks Interactive, she developed a strong appreciation for the technology skills required to make a media business successful. And, as the mother of two young daughters, she wants to ensure they have plenty of opportunity the growing technology fields. After meeting the 100 Girls of Code leadership team and spending time with attendees of a Code event at Scripps Networks HQ last summer, she was committed to advance this mission.